Near Kasota, Minnesota is a place where, for a price, you can drive a tank. Alex Scheuerlein 22, of Apple Valley, Minn. gets ready to take an Abbott tank for a drive. Reporter Jason Harper takes an Abbott tank for a drive. Reporter Jason Harper on his first ride. Drive A Tank owner Tony Borglum with his British built Abbott tank. 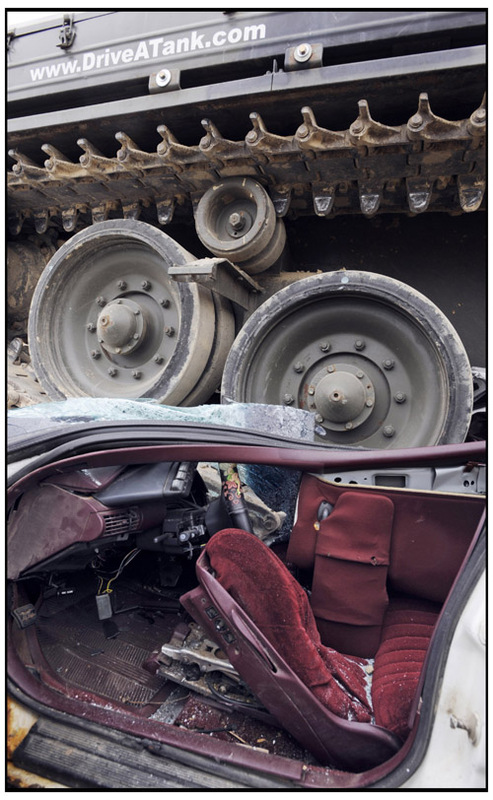 What's the point of having a tank if you can't drive over a car. 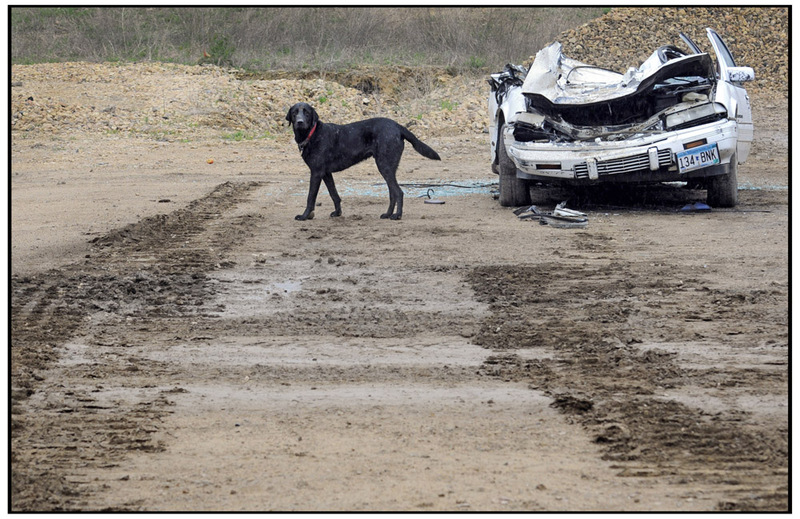 Sherman the dog looks on at the result of a British built Abbott tank's encounter with a car.